Has your child been begging you for piano lessons? Is your teen obsessed with learning guitar? Does your kid have a naturally gifted singing voice? Enroll your child in music lessons! Music is beautiful to listen to…once the student progresses beyond learning the basic skills. And it offers the mother-load of benefits for health, education, IQ and more. According to research, these are the top 5 benefits of music lessons! 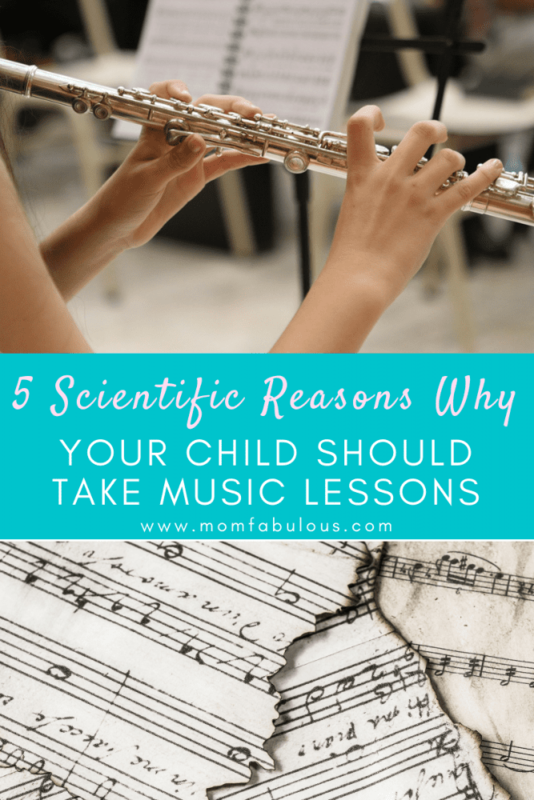 Reason #1: Children who take music lessons having a higher IQ score. Another study enrolled children ages 5-6 in either music lessons (75 minutes per week) or another a non-music class. After the course, the kids from the music lessons showed significant improvement on their verbal reasoning and short-term memory IQ components. Reason #2: Kids who take music lessons improve their academic abilities. Another study asked musicians and non-musicians to recall words from a recently presented list of words. Musicians could recall more words than non-musicians. This implies that music has a positive effect on processing speed and reasoning skills. Reason #3: Music lessons improve the overall quality of school. Music education and lessons are so impactful that it even reaches the overall quality of a school. In particular, music lessons help students to feel satisfied with school (in general), feel a sense of achievement, and provide a place for opportunity. Essentially, music lessons boost the social aspects of school. As a parent or teacher, this is a big deal! We want students to look forward to and enjoy school, and ultimately strive to make it a comfortable place brimming with hopeful opportunities. Reason #4: Music lessons boost student confidence and motivation. Students in this study participated in three 20-minute music lessons each week for at least one year. The observable benefits were increased self-motivation and self-confidence, as well as a sense of accomplishment. How joyful would it be to see your students have a greater sense of self-worth and optimism for their accomplishments! Reason #5: Students who play music read more books. Teenagers who play a musical instrument actually spend less time playing games on the computer or watching television; instead they read more books. Which pastime would you select for your teen: video games or a good novel? Bonus Reason: Music lessons provide a consistent, positive role model. Taking private lessons means that your child will meet with their music teacher on a regular basis. This is another adult who can encourage your child, be aware of what’s happening in their life, and be a positive role model. I’ve taught private flute lessons to students ranging from 8-16 years old over the past few years. While I enjoy watching the girls learn new techniques, master advanced skills and perform in concerts, those aren’t the factors that are most rewarding. I absolutely adore getting to know them. I love to hear what they do throughout their week and what they are looking forward to next week. It’s touching when they take a moment to share a struggle or ask for advice. Because we see each other weekly, we build a bond that is consistent and strong. Although our primary goal is to improve flute skills, an extremely close second is to form a healthy relationship. Fun Fact: Children are most satisfied with their music lessons when they enjoy their music lessons and practice outside of lessons. One way to better enjoy this time is to have a personal relationship with the teacher; this looks like talking about more than simply music during the scheduled lessons. Parents, how can you support your child in music lessons? Parental involvement in music lessons can actually help your child enjoy lessons more! It even encourages your child’s music abilities and progress to know that you are in support of them. Be enthusiastic of your child’s musical progress and evolution as a maturing musician! Commit to the long-term investment of private music lessons. Respect your child’s private teacher. Is your child deciding between playing a sport and taking music lessons? While sports improves physical health, both activities will boost academics and decrease the risk of adolescent smoking. Why not let your child try out both activities? Previous articleWhich Type of Parent Are You, and Which Type Do You Want To Be?